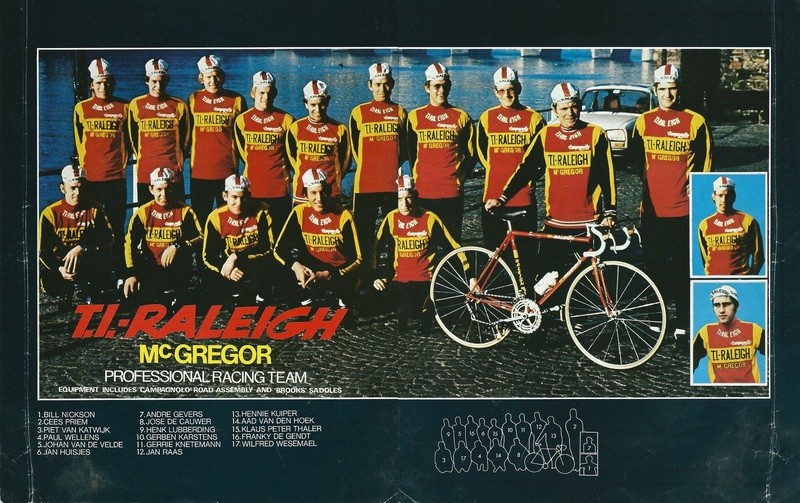 Raleigh has a long and fruitful history in the sport of cycling. This team picture from the late ’70′s features several legit riders- Jan Raas, Hennie Kuiper, and Henk Lubberding among them and two time ‘cross world champion Klaus Peter Thaler. 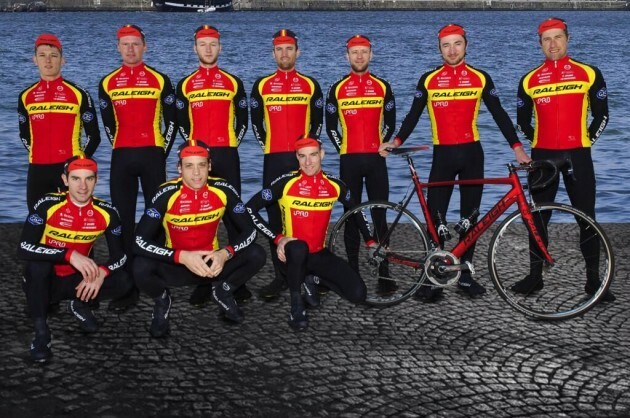 Their new team kit features a very similar design, and their inspiration for their team photo is unmistakable even if they don’t feature the same cadre of Dutch and German superstars (kudos to Cycling Tips blog for pointing this out). Steve Tilford rode for Levi’s Raleigh in the early 80′s and still uses his team issue bike travel bag.